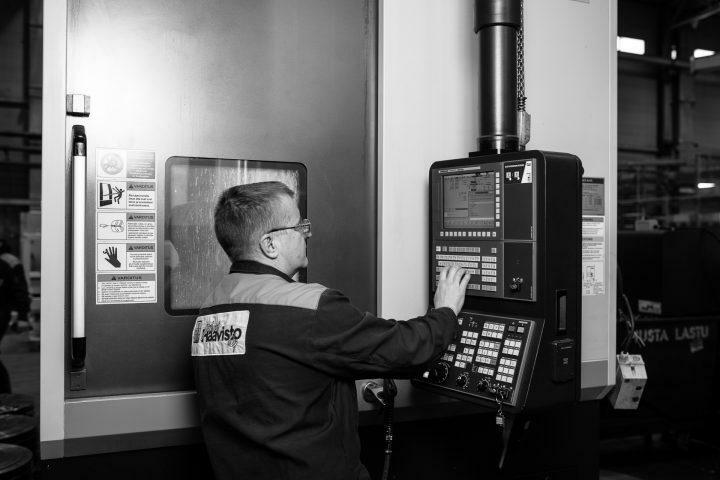 We have eleven different-sized CNC turning machines in use, each with different features. Usability and efficiency have been increased by means of bar feeders and robots. 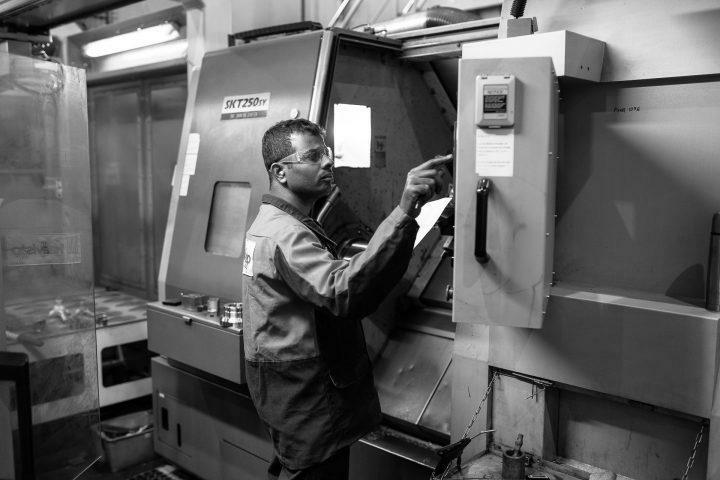 Our turning machine production unit consists of everything from the machining of small bushings to the production of large pump shafts. The rotational diameter of the largest multi-purpose turning machine is 915 mm and the length is 4,000 mm. There are nine machining centres in our production unit. An efficient cell has been formed from the smaller machines for the needs of serial manufacturing, where one machine operator can use several machines. The milling machine with the largest movement range (X=8200, Y=2000 and Z=1500) is a Zayer, which is equipped with a swivel machining head (with a 0.001-degree distribution) and a rotary table. We have general sheet metal work machines in use that are suitable for our production unit. 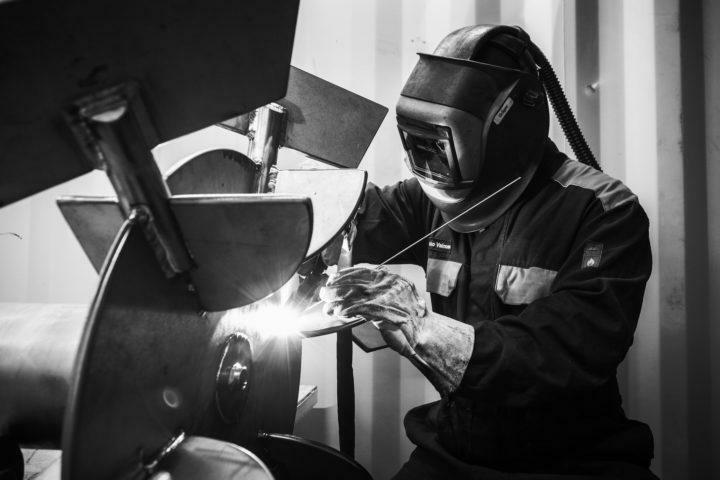 The mechanisation of welding has been invested in with a portal conveyor, welding tractors and various piece-processing machines, such as rotary tables and rollers. The welding machines we have in use represent the latest technology. 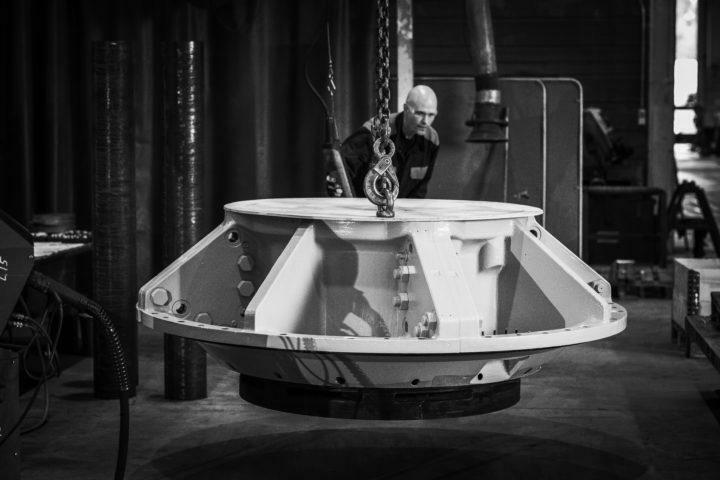 The dimensions of the submerged arc tower and manipulators are D5000 and L5000. We weld various materials, such as carbon steel, acid-resistant steel, duplex steel, SMO and titanium. The international welding engineer IWE is responsible for the coordination of welding. We store our partners’ products as either half-ready or completed products. Quick deliveries for spare part needs at the price of volume production. Stock levels and products to be stored are specified in co-operation with our customers. We also carry out sizeable pre-assemblies and installations for our customers’ machinery.